Vape Juice, E-Liquid, E Juice, what’s the difference? Really there aren’t any, they all refer to the same thing, a liquid substance you vaporize in a machine and inhale through your lungs using the power of an electronic device or battery. We’ve boiled down the 5 most important factors you need to know to become an expert on vape juice so you can avoid the pain and hassle of having to spend money on something you don’t really want. This quick overview will teach you the most important things to know about vaping and vape juices. There are a few key differences in the type of vape juices out there, here are five of the most important ones. 1) PG/VG which is right for you? These two things are the primary ingredients in your average e juice. A vape juice comprised mostly of PG or Propylene Glycol provides more of that throat hit feel you might be accustomed to from your cigarette smoking days and produces a thinner smaller cloud producing vaping experience. Most tobacco flavored vape juices have a higher concentration of PG to VG. VG or Vegetable glycerin provides more vapor, a much larger cloud, a smoother hit and is most common in higher ratios with your non tobacco based flavors like your candy and fruit flavors. Both are FDA approved and already in a tons of stuff we use every day, including various foods and are totally safe, so you can’t go wrong with whatever you choose. There are a small portion of people who are allergic to PG, who experience an excessive burning in the throat when vaping and can experience hive like rashes, headaches and even chest tightness. If allergic your symptoms will usually appear immediately but can last for sometime. For those people who are allergic VG liquids are usually just fine luckily. VG vape juice generally requires more cleaning because it has more viscosity aka is thicker and can create more gunk, causing buildup without regular cleaning. PG e liquid is thinner and generally easier maintenance wise, but really there isn’t a huge difference in cleaning if you take good care of your device no matter what you are vaping with. Getting your PG/VG game down is half the battle on the way to becoming a vape juice expert, so congratulations you’re well on your way! 2) NICOTINE CONTENT how much do you need? The next most important thing when it comes to choosing the right e-liquid is nicotine content. Obviously most vapers main goal is to eliminate cigarettes, chewing tobacco etc and all the potential harms associated with those habits from their lives. Vaping works because you are still able to fulfill those nicotine cravings without the harmful additives. Some of the most common nicotine concentrations in vape juices are: 0mg, 3mg, 6mg, 12mg, 18mg. The more nicotine in your e juice the more of that throat hit feel you will get when you vape it. Really it comes down to two things: The more cigs you smoked the more nicotine you need in your vape juice, the more efficient your vape the less nicotine you need especially with sub ohm vapes. A good frame of reference would be the example of a pack a day smoker of standard cigarettes starting at about 12mg vape juice nicotine content. There has been a recent trend in closed systems that use much higher nicotine contents such as 40mg (4%) and 50mg (5%). The very popular JUUL is an example of a closed system vaping device. Some benefits to these closed system e liquid devices are: they’re more convenient, most are disposable, leave more flexibility for flavor varieties etc. because you don’t have to keep buying new e juices you can by the smaller cheaper pre-filled pods. But the cost can add up, especially if you vape a lot vs open systems which is a more traditional device and can be a bit more cheap in the long run, you do get somewhat more of a cigarette feel in your hand when using one too, which people like. Another advantage of closed system devices are thy can be more convenient, more stealth like when you are at work etc. You may not want to chain vape with these devices especially at first because you may get too much of a nicotine buzz which is not fun. 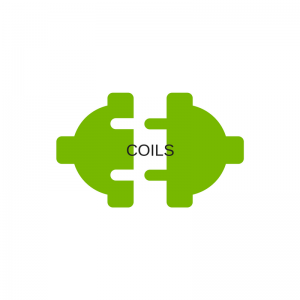 These devices are a good option for those vapers transitioning from cigs to vaping, but are generally not a good option if you are working on trying to lessen nicotine content. In vape juices Standard Nicotine Derived tobacco still remains an option of course. Nicotine Salts based e liquids are becoming quite popular though, some benefits of salts are: you won’t need as powerful a vape, you can get more nicotine in your bloodstream quicker, and they tend to have a longer shelf-life. You can use a sub ohm vaping device with a stronger nicotine content with nicotine salt e liquid. You have to be careful not to over-vape though, you have to know when to stop or you can be over nicotined so to speak. Tobacco Free Nicotine (TFN) is also available which is synthetic, and a more expensive type of vape juice. Tobacco free Nicotine is devoid of many of the impurities that tobacco derived nicotine has and is virtually odorless and can dramatically improves e-juice flavors, while still delivering nicotine. The Nicotine is extracted from various sources including vegetables and tends to be a bit more on the expensive side. 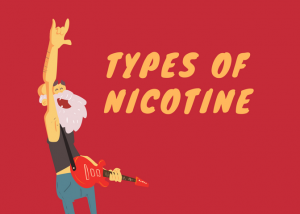 Mastering this concept of types and especially concentrations of nicotine will be a key step on your way to becoming a vape juice expert, your nicotine concentrations preferences may change as you progress in your e juice career so experiment and see what works best for you! This is possibly the funnest part about vaping, there are so many awesome vape juice brands out there, which means tons of flavor options. 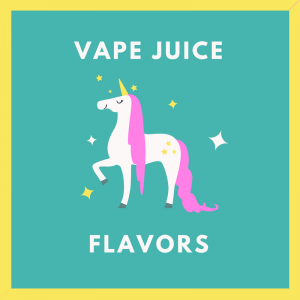 Some companies offer as many as 100,000 flavor varieties of e juices such as various Popsicle, candy, and fruit flavors. Custard and strawberry are some of the top vape flavors, even cereal themed flavors are available like the very popular cinnamon toast crunch. Tobacco flavored e-juice is popular with newer vapers who need that extra step to get away from cigarettes and there are also vape juice flavors with no nicotine for vapers who vape just for the flavor of the vape juice. Menthol flavors are also available for those that smoked menthols or for those that simply enjoy the flavor of mint. Even alcoholic beverage themed flavors and coffee are available. Just like a fine wine e juice flavors can be improved through the process of steeping which can be done by you or the manufacturer. It’s a process where you activate the molecules for the oxidation of the juice to improve flavor and get a more true flavor of e liquid. The oxidation Basically just lets your e juice breathe and you get a better vaping experience if you feel like your juice is a little off flavor wise or just want to improve the flavor on your own. You can steep your e juice anywhere from a couple of days to a couple of weeks, depending on how patient you are. The e liquid needs to be kept away from sunlight preferably in dark room or place. Sub ohm vapes are very common these days and because of how efficiently they work you usually don’t need as strong a nicotine content but they do demand more power and make your e juice go faster, which means more money to spend. If you are a high nicotine vapor than its best to avoid a sub ohm vape. For brand new vapers who formerly smoked, or those who still enjoy the sensation of cigarette smoking, there is no need for a thick vape juice comprised mostly of VG. Those who want to produce bigger clouds, and only want a small amount of nicotine or a mild throat hit, likely wouldn’t want a liquid made mostly of PG. The good news is there are enough vape juice options to satisfy whatever your tastes happen to be so try a few different options and go with what feels right, again there is no right or wrong answer it just takes time to accumulate the experiences. You usually get better quality with premium liquid brands vs storefronts or gas stations in terms of quality and flavors etc so don’t go with some guys making vape juice in their garage, go with an established brand as much as possible in order to get official, certified, standardized e-juice. Premium vape juices usually use higher quality ingredients including improved flavorings, nicotine, and higher grades of pg vs vg. Some of the “bargain bin” e-juices use lower quality ingredients and also have less efficient manufacturing standards. Premium e-liquids are usually tracked by a batched number and are filled by precise machines, rather than some companies just “eye balling” flavoring levels, pg/vg levels, and nicotine content. Even though there a lot of choices and thing to consider when choosing your method for vaping and types of vape juices, it all comes down to getting away from the harm of cigarettes and trying out a few different things to see what you like best. So there you have it, the 5 key things to know about choosing a vape juice. Consider yourself an expert, congrats, now go out there and vape to your hearts content! This entry was posted in Aspen Valley Vapes, Blog, E-Juice Stories, General Vaping, Vaping News, Vaping Saftey, Vaping Tips. Bookmark the permalink. The greatest quality at the lowest cost is when I make it myself. Can I purchase a super yummy Rice Crispy RY4? How about a Ripe Banana Pudding? Will it be to my liking? Maybe not, that’s why making it myself ensures that I will like it, plus the cost is minimal. Now that is the best bang for your buck.